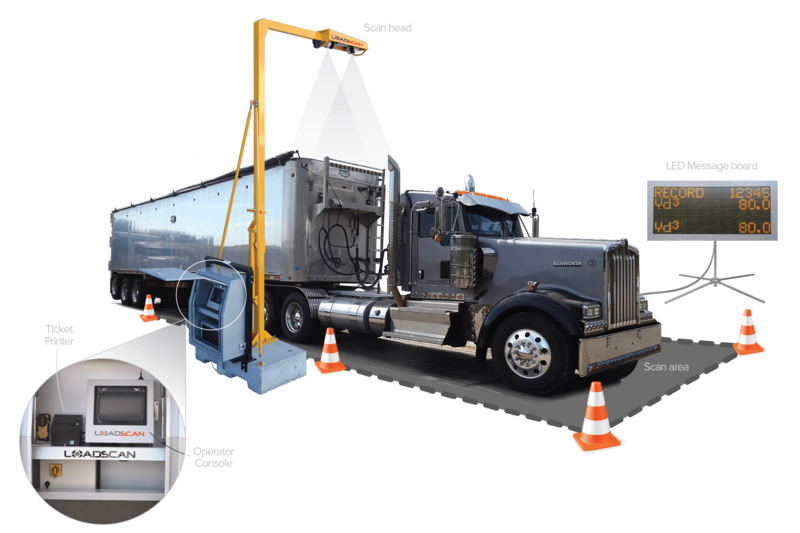 The Loadscan® Load Volume Scanner (LVS) system utilizes laser scanning technology combined with proprietary Loadscan software to measure the exact volume of the material loaded in a truck or trailer bin. With this system you’ll measure actual volume, not a converted weight estimate whilst also recording a 3D colour profile of every load. It means you don’t pay for water content, you can eliminate customer and/or supplier disagreements over quantity, and you can easily track material movements. The range finder lasers in your LVS are the only lasers on the market that have passed stringent metrological and accuracy testing required for trade approval. Loadscan’s Overview reporting software has been developed in conjunction with industry to ensure it is user friendly and data rich. The LVS automatically records detailed load information. 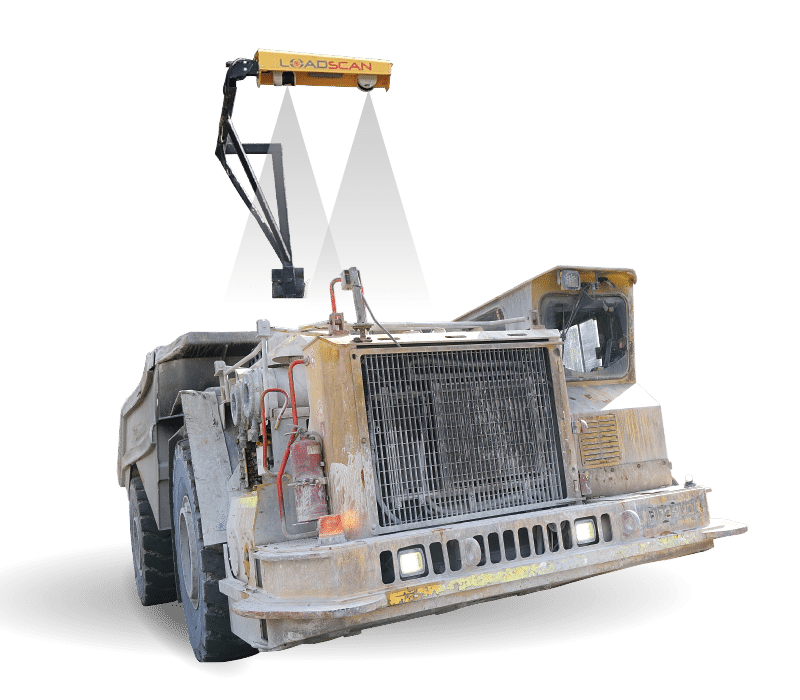 You’ll easily identify off-centre or suboptimal loading and you’ll be equipped to better train loader operators. The standard block-mounted LVS configuration shown here is designed for use with on-road trucks and small off-highway articulated dumpers. 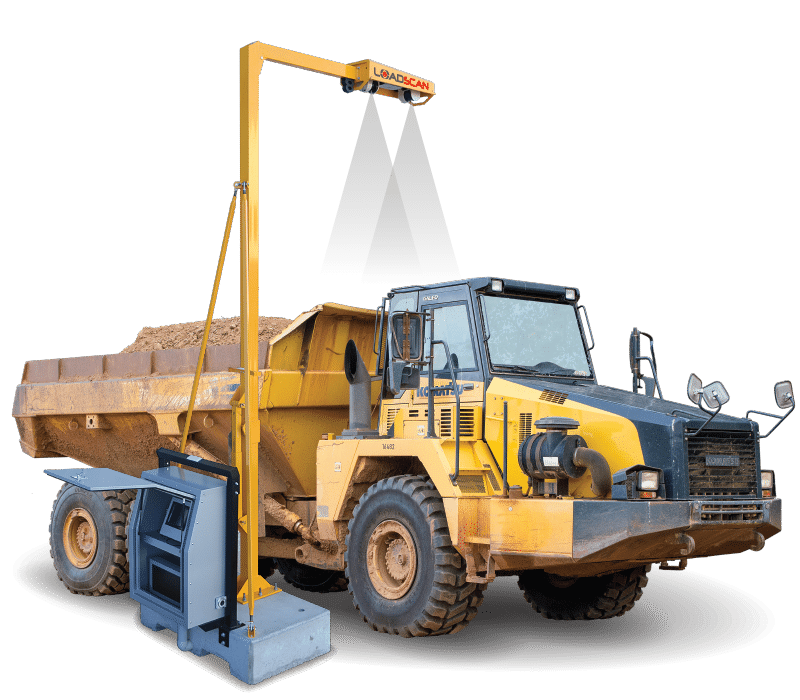 Vehicles are scanned by driving slowly below the elevated scan head. The scanning process is fully automated. 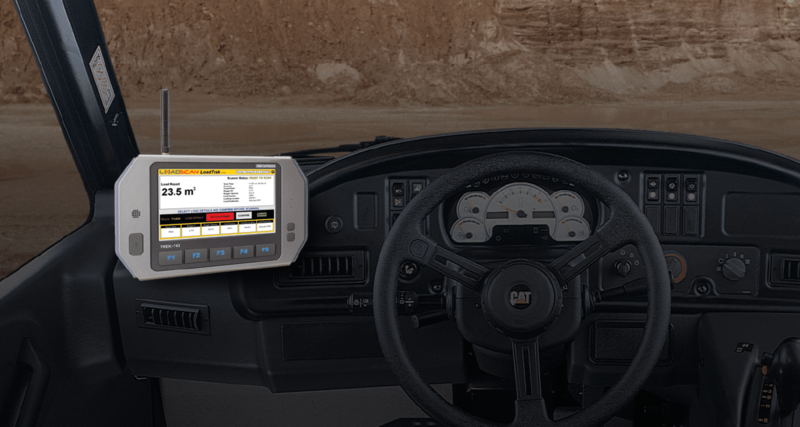 A touch-screen operator console provides for easy operator control and monitoring of the system and a high visibility LED message board displays load results, driver instructions and status messages. 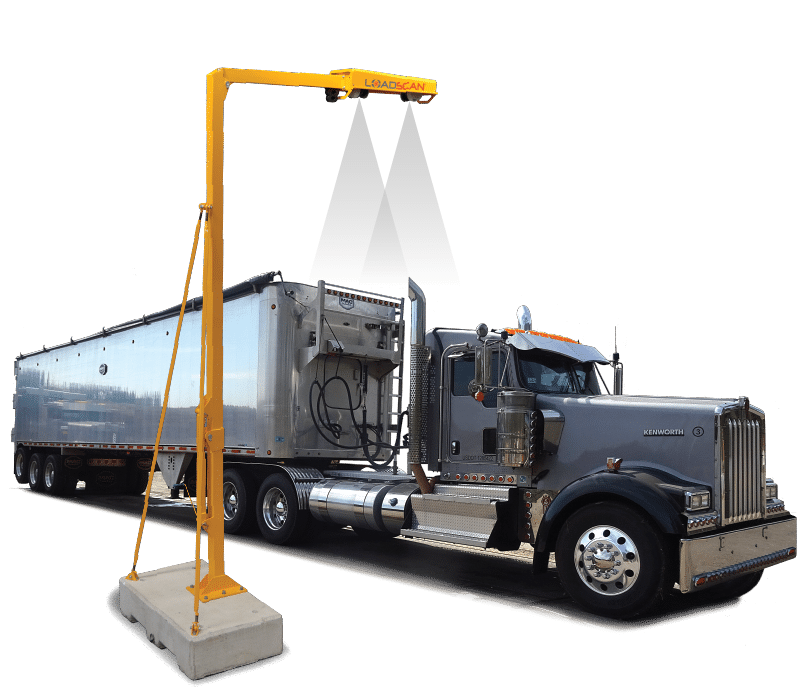 All Loadscan LVS systems include an RFID tag reader (for automatic identification of each truck and trailer), docket printer, LVS measurement software, and Overview reporting software. Loadscan is unique in its reliability and consistency. There are a range of checks and balances written into the LVS software so that the scanner does not report inaccurate readings in the unlikely event that it cannot obtain a reading from the collected scan data. 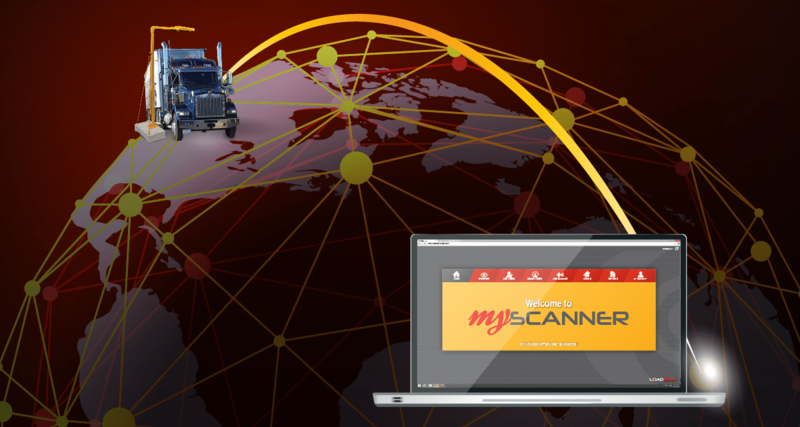 There’s no need for re-calibration or scheduled servicing as your Loadscan scanner will operate consistently even in extreme and remote environments. The LVS performs consistently over time and features built-in checks to prevent operator error. 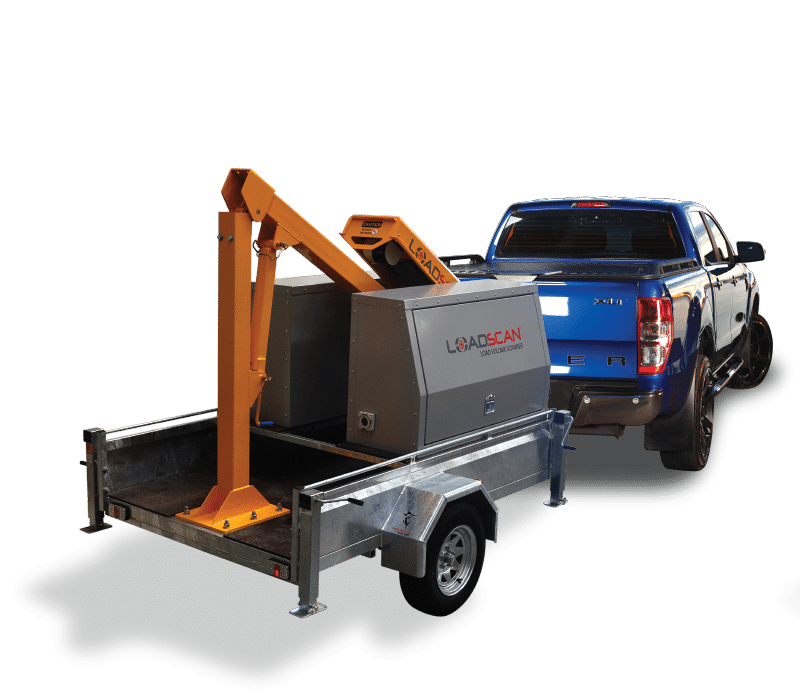 Loadscan is the only volumetric measurement system that is proven accurate to plus or minus 1% (and is Certified for Trade in NZ and Australia). 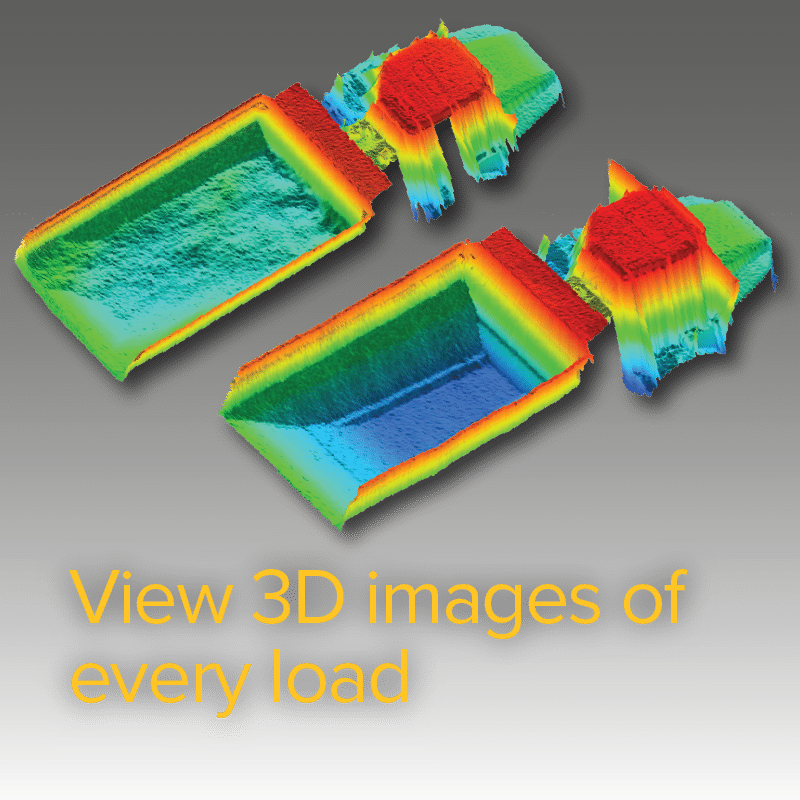 The Loadscan system is fast, non-contact, and suitable for a range of loose bulk material. Every load record is stored in the system and connected to your desktop by LAN, WiFi, or cellular network. Data is viewed and sorted using Loadscan’s Overview reporting software and can be exported to Microsoft Excel or integrated with existing business systems. You’ll be able to account for every load delivered or removed from your site. And you’ll automatically track truck arrival and departure times. 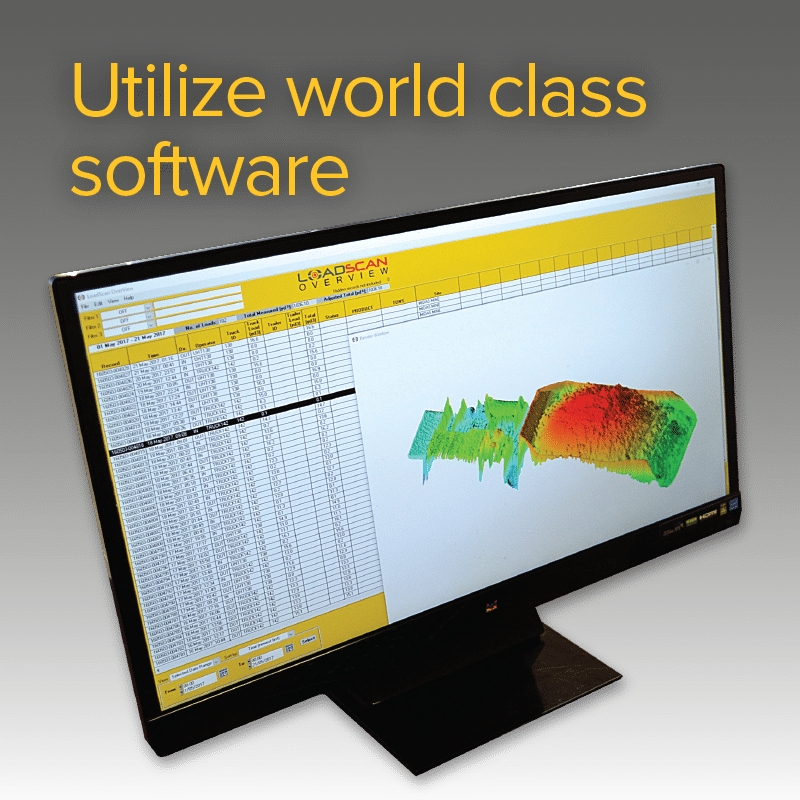 This system will help you better understand your business, your material movements, and even the qualities of the bulk materials you’re dealing with (bulking or compaction factors will never again affect your bottom line). 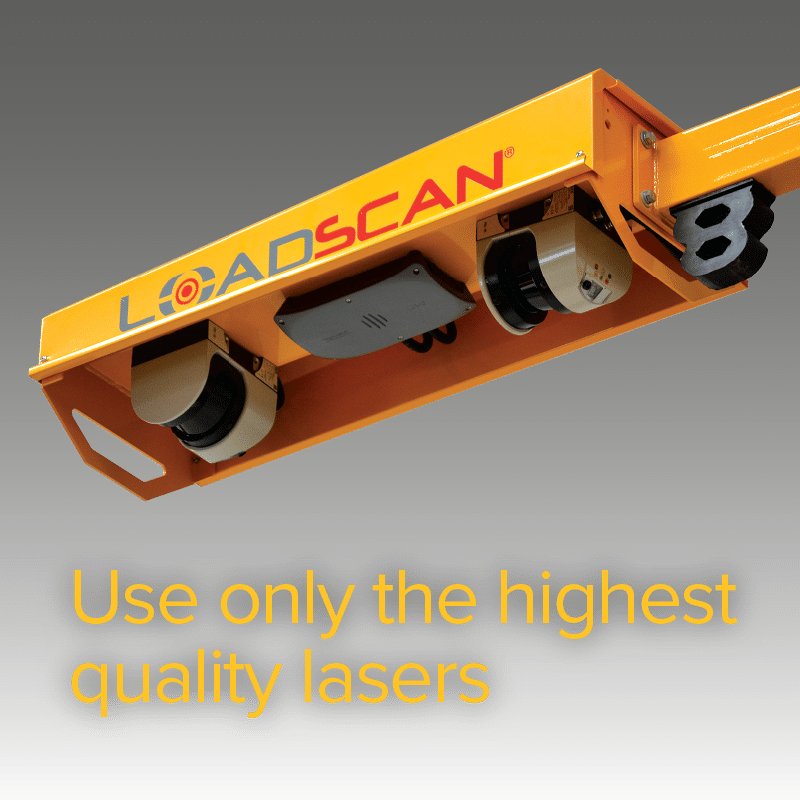 With easy onsite installation, the Loadscan load volume scanning system can be fully operational in just hours. The portable systems can be set up on a suitable site and ready to supply truck measurement in less than 30 minutes. With automated scanning there’s no need for the trucks to stop. You’ll witness productivity gains, settle customer supply disputes, and ensure you receive what you pay for with one easy system. The system is able to be operated by in-house staff, dump truck drivers or in fully automated mode. Unskilled operators are able to quickly learn to use this intuitive payload management system.